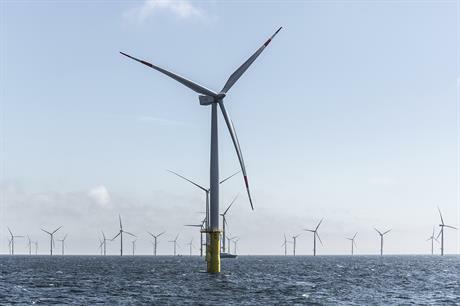 GERMANY: Danish pension fund PKA has sold its 22.5% stake in Germany's 288MW Butendiek offshore wind project to a consortium led by Japanese company Itochu. The fund bought the stake in 2013 and the project, powered by 3.6MW Siemens turbines, was commissioned in 2015. The divestment has resulted in a gain of almost DKK 1 billion (€135 million) in less than three years, PKA said. The Butendiek investment has thus achieved an annual return of roughly 25% to PKA's 275,000 members. PKA CEO Peter Damgaard Jensen revealed that normally such an infrastructure investment was for the full life of the project, typically 25 years. But the company saw sold profit for its members and seized the opportunity.